The next in the series of pulp novels by Dan Brown is coming later this year. That being Inferno. With that, we also can introduce you to the first poster for the film. It does look like someone has got their iPhone, put it in Panorama mode and then went upwards. 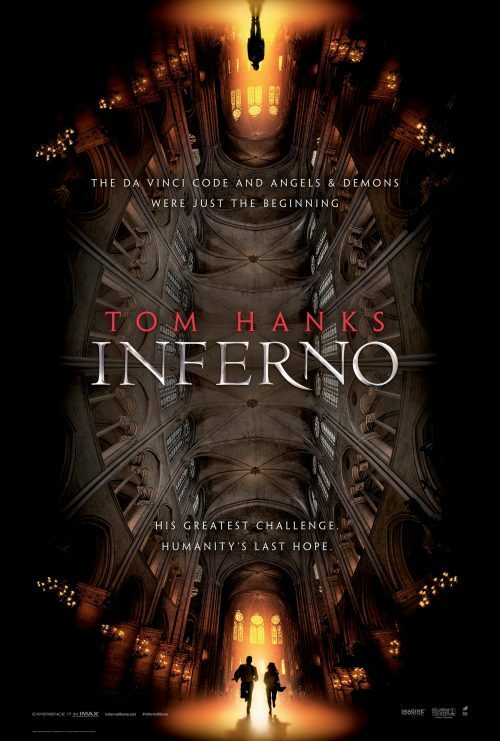 Academy Award® winner Ron Howard returns to direct the latest bestseller in Dan Brown’s billion-dollar Robert Langdon series, Inferno, which finds the famous symbologist on a trail of clues tied to the great Dante himself. When Langdon wakes up in an Italian hospital with amnesia, he teams up with Sienna Brooks, a doctor he hopes will help him recover his memories. Together, they race across Europe and against the clock to foil a deadly global plot.